At The Peace Statue in Hove this morning there was a short service, followed by the traditional two minutes silence, to mark the 93rd Armistice Day. The event commemorates those who died in the two world wars and subsequent conflicts, including 385 UK personnel killed in Afghanistan since 2001. Our photograph here shows Mr Lionel Webb who is 86 years old, who was a member of Royal Marines 40 Commando. 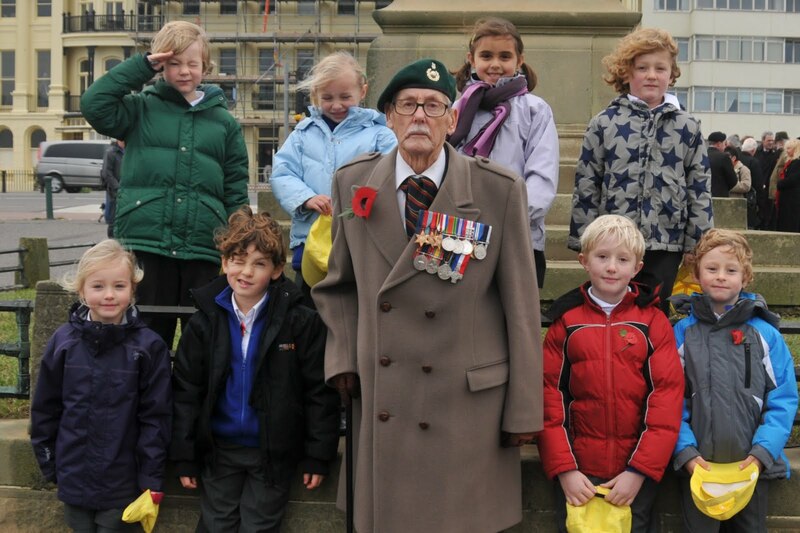 He is surrounded by some of the children from Cottesmere St Mary Primary School, Hove.